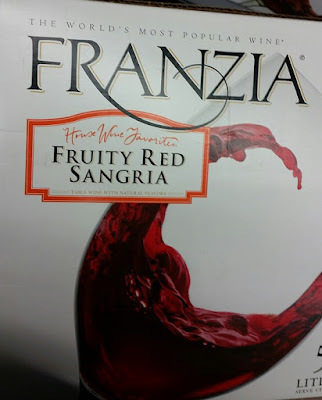 Franzia Fruity Red Sangria maintains its Good Rating! Winos agreed to buy again; sure enough they did! Ribeyes on the grill, glass of Sangria is tasting good as the steaks cook! 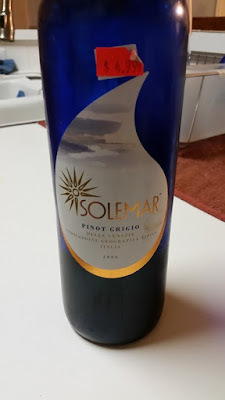 Solemar Pinot Grigio gets a Bad Rating from the two Winos. We tried their Solemar Merlot and came away with a Neutral Rating. Tried this one and just could not find a reason to buy it again. Even for the $4.99 price. Oh well, best to move on to other wines! Thought we had tried this one before but it turned out it was their Sweet Moscato. 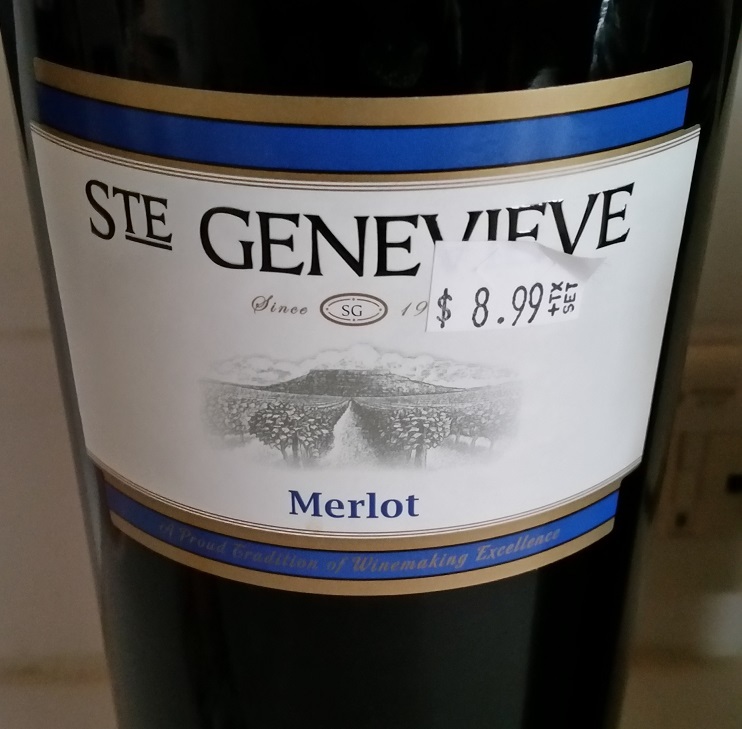 This round it looks like St Genevieve - Merlot gets a Good Rating from the Winos. Price for the big bottle goes for $8.99 locally. 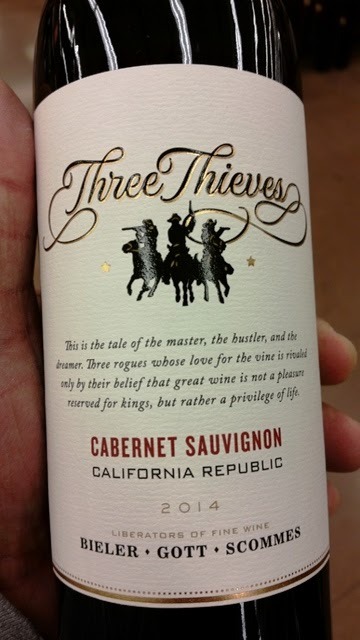 Not bad... even has a 13.5% Alcohol Content, so the Red Wine Wino is easily liking this one. Good thing the White Wine Wino keeps him straight. Had it before, liked it. Had it again, still liked it! Winos agree to buy again. 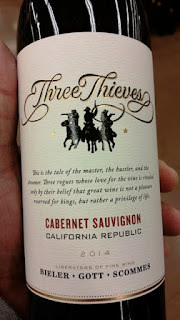 Three Thieves Cabernet Sauvignon earns a Good Rating. PS: On sale at our local grocery store for $7.50; normally $11.00!